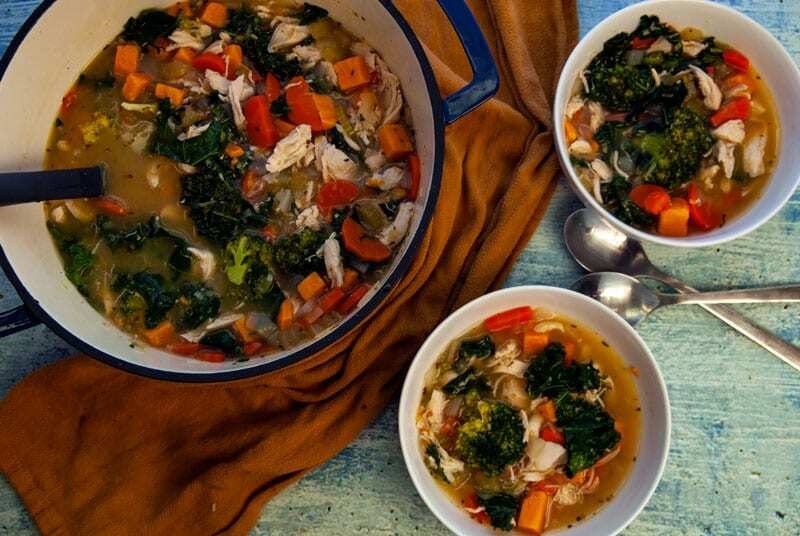 Brace yourself, because I’m obsessed with Detox Lemon Chicken Soup. And you will be too. Soo apparently the rest of the world is being aggressively snowed on… and I honestly can’t help but be a little jealous. Yea, it’s nice to get around town with just a long sleeve shirt, but sometimes I miss snow, I miss sledding, and I miss throwing snow balls at my brother, because he deserves it. 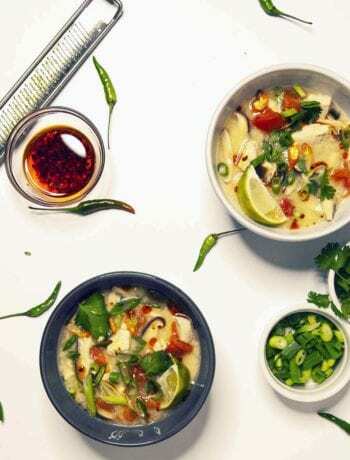 Another reason I love the cold weather is for reasons like an excuse to make this detox lemon chicken soup. 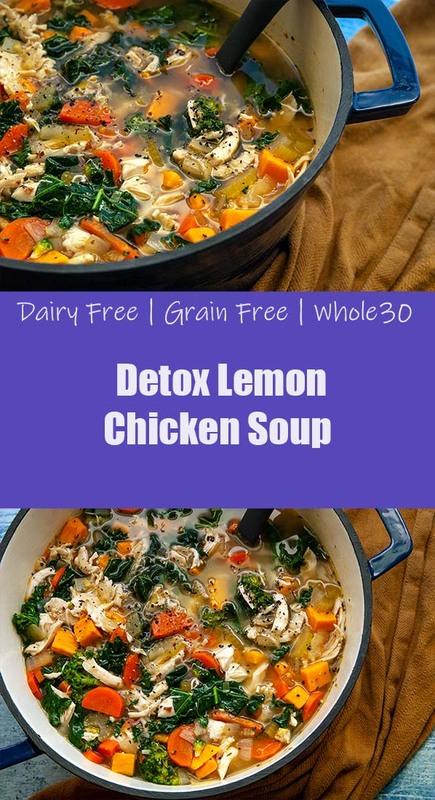 Also, I’m on the tail end of Whole30 but yes, if your wondering this detox lemon chicken soup is indeed a Whole30 Recipe. But you definitely won’t be missing the noodles. Now I’m not saying forget noodles for life. 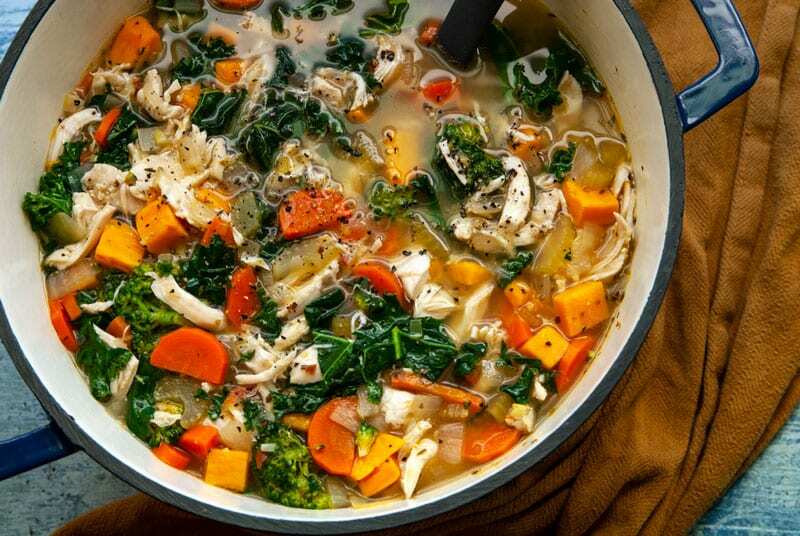 I do love some chicken noodle soup, but my detox lemon chicken soup is made up of entirely vegetables, chicken, and seasonings. And this bad boy is chunky, so after a bowl you will be full. 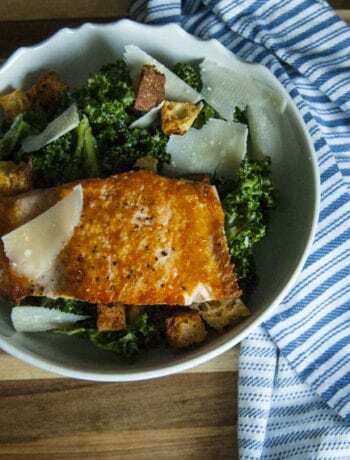 It’s so annoying to me when I make a whole30 recipe, but I never get full from any of my meals… It makes it super hard to control my cravings. 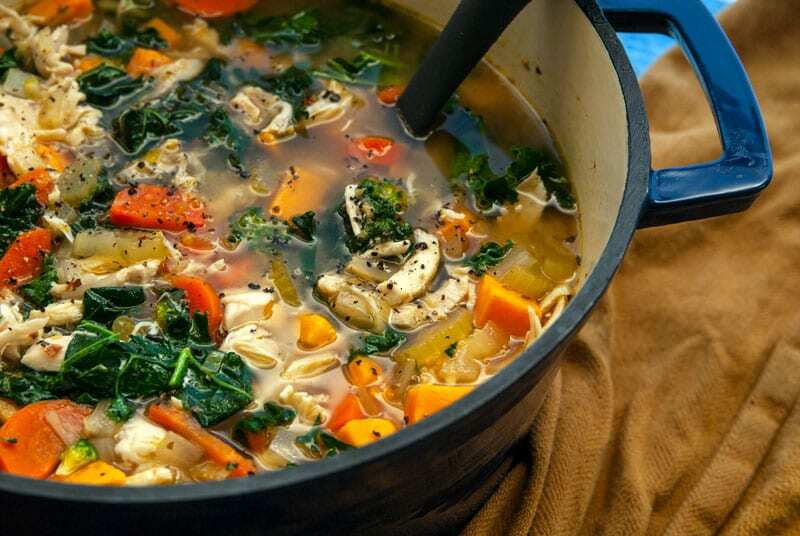 You will not have to worry about that with this Detox Lemon Chicken Soup my friend. Here is another Whole30 Chicken Recipe for you! Check it out! 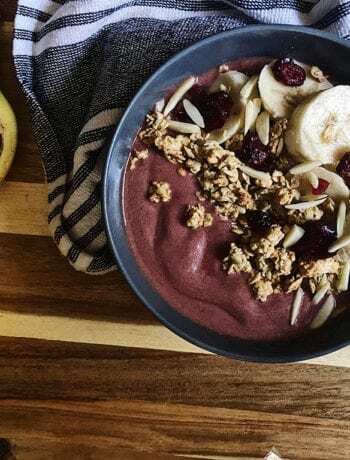 Now, the hardest part for most people is being prepared when it comes to healthy eating. Let me paint a picture for you. You get off work at 5:00, you sneak in a Soul Cycle class, and you make the 10 minute drive home. If you are anything like me… YOU. ARE. STARVING. And it’s not cute. It’s like get me anything and everything to eat now or I’m gonna die. I’ve said it once and I’ll say it again. I’m dramatic. Now would be a really good time to have some detox lemon chicken soup, friend. Reheated on your stovetop in less than 5 minutes.